HOW IS HISTORY MADE? BY THE MOTIVATION OF IT'S PEOPLE. East Preston is part of an area that was originally known as Township of Preston. Officially surveyed in 1784, the Township of Preston was located east of Dartmouth. The community of East Preston was settled and built by people of African ancestry after arriving in migrations periods in the 18th and 19th centuries. 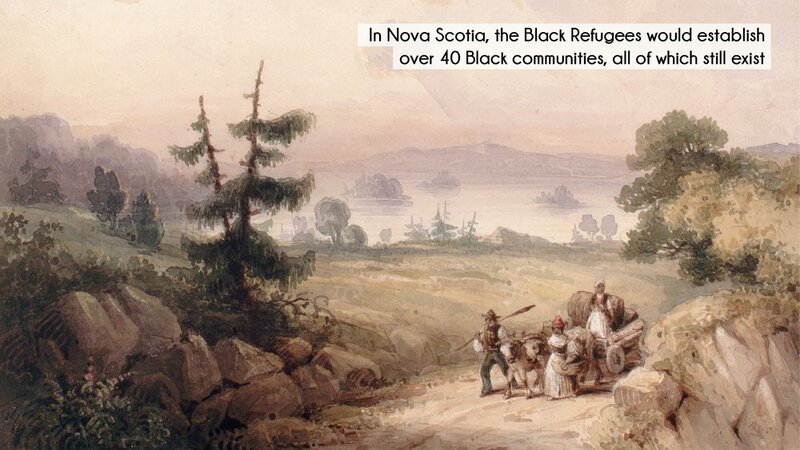 The Black Loyalists were the first large group of people of African ancestry to arrive in Halifax in 1782. They had fought on the side of Britain during the American War of Independence and were promised freedom and land in Nova Scotia. Many of these Black Loyalists settled in the Preston area. In 1796, the Maroons arrived after having fought the Spanish and the British for many years in Jamaica. After a somewhat uneasy truce was reached with Britain, the Maroons were put on three ships, the Dover, the Mary and the Anne, to set sail for Halifax. Upon arrival many of the group of 500 - 600 Maroons were settled in the Preston area. The Lieutenant Governor of Nova Scotia from 1792 to 1808 was Sir John Wentworth. He built his summer home in Preston on what is now Governor Street in East Preston. It is said that his relationship with a Maroon woman, Sarah Colley produced a son, George Wentworth Colley, born in 1804. He died in 1893 and many of the descendants live in the community today on this same property passed down from generation to generation. The final group of people of African ancestry arrived between 1813 and 1816 as Black Refugees. Coming from the Maryland and Virginia areas near Chesapeake Bay area in the southern part of the United States, these refugees had fought for freedom on the side of the British in the War of 1812. A large number were settled in the Preston area upon arrival in Halifax. Despite out migrations during different periods over the years, the population increased as the Black settlements developed and eventually evolved into the communities of East Preston, North Preston, Cherry Brook and Lake Loon. The foundation for people of African ancestry in the Preston area was the church and it continues to be today the church. Richard Preston, an ex-slave born in Virginia was one of the most influential ministers during those tumultuous years. He came to Halifax in 1816 looking for his mother who had fled the U.S.A. during War of 1812. He found her in East Preston on the Upper Partridge River Road and would take the name Preston as his surname. Preston founded over 11 churches and his legacy lives on in the African United Baptist Association. The low building in the centre of the photo is the piggery. Evans was a successful livestock farmer and a member of the County Council. The Stag Inn built between about 1835 and 1840 and welcomed visitors until at least 1865. It was owned first by George Dear and then by William Dear. The Dears came from Maryland as refugees of the War of 1812. George Wentworth Colley (1804-1893) - Wentworth's farm was located near the foot of Long Lake. The house on the left was built, probably by George W. Colley, on part of the foundation of Wentworth's original farmhouse. The house on the right had been recently built by a descendant of George W. Colley.